If you think that My Search Dock is a program that should enhance your online searches, you must be informed that it is not the case. Unfortunately, claims on its official websites are used as a marketing technique to manipulate naïve Internet users into obtaining a dubious piece of software. In fact, our malware researchers have classified this program as yet another adware that should be removed without any hesitation if it is found up and running on your operating system. Instead of improving your overall online experience in a positive way, it will cause major disruptions almost every single time you decide to surf the web. On top of such annoying activity, this adware application could also turn out to be a malicious piece of software as well. During our research, our team has found out that in some cases it could cause exposure of your operating system to questionable web content, which could lead to a system infection. Read the rest of our report and find out how this ad-supported application works and why its removal is essential to your overall virtual security. Below we present detailed removal instructions that will help you terminate My Search Dock in the quickest way possible. The basic functionality of My Search Dock is not that familiar to the majority of adware programs that are roaming the web nowadays. Once it enters your operating system, it implements extensions to such major web browsers such as Mozilla Firefox and Internet Explorer. 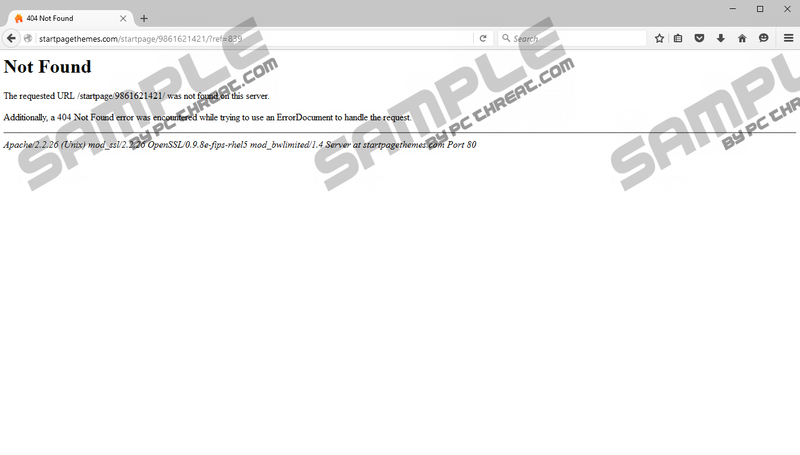 These extensions are employed by the adware program to establish lasting connections to numerous adware servers that are known to be the primary source of intrusive third-party web content, which usually manifests as annoying ads, pop-ups, and coupons. It should be noted that everything that this adware program presents you with is utterly worthless. In reality, such unwanted content will only make surfing the web a miserable experience. If that was not enough, we must highlight the fact that this unwanted program is also able to trigger changes to your web browser’s default settings. This adware will change your default homepage at the same time that it successfully enters your operating system. Such change will also fundamentally alter your web browsing experience of the worse because for as long as this program is fully active on your computer you will have no choice but to start every single web surfing session on a newly appointed homepage. If you are keen on regaining your web browser’s default settings to browse the web the way you are used to, you need to delete My Search Dock in its entirety without any hesitation. While disruptions caused by My Search Dock are the most prominent feature of it, you should know that in some cases this adware could operate in a quite malicious way. Upon further investigation, our researchers have found out that in some cases the ads presented by this ad-supported application could turn out to be embedded with redirect links, which is a dangerous instance, to put it mildly. If you ever happen to click on such an ad, there is a risk that you might end up on questionable third-party sites, which could even turn out to be hosting malicious software. In some cases you could even be taken to a website that might be running an arbitrary code execution exploit, meaning that just entering such a site could be enough to infect your operating system. Additionally, it has been discovered that clicking on any link within the newly appointed homepage could have similar outcomes. It goes without saying that running My Search Dock on your operating system is a risk that you should never take. To reduce the risk of infecting your computer with some other questionable program, you must delete this adware once and for all. Make sure to follow the instruction that we present below carefully to get rid of My Search Dock entirely. Only a single mistake could mean that the adware program in question was not removed entirely. Finding yourself in such a situation could have unwanted outcomes, to say the least. It has been found out that in some cases just a few leftover files could be more than enough for this adware to continue its functionality. To avoid such instance, you need to double-check your computer for potential leftovers linked to My Search Dock once you are done with the manual removal. Quick & tested solution for My Search Dock removal.